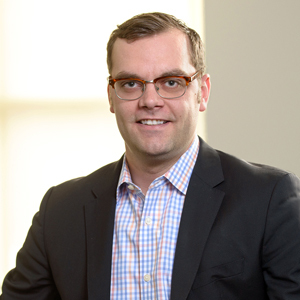 Brian is a Portfolio Manager on Vivaldi’s research team, in the firm’s Chicago headquarters. In that role, Brian is responsible for managing all aspects of Vivaldi’s investment research and diligence process. He has a particular expertise in evaluating alternative strategies and helps manage the dedicated Vivaldi Investment Research analyst team with respect to their work in that area. He is also a member of Vivaldi’s Investment Committee. Brian brings to bear more than 12 years of alternative investment experience having held research roles at both single strategy and multi-manager alternative asset management firms. Brian joined Vivaldi in 2013 from Los Angeles-based Voyager Management, an alternatives-focused multi-family office where he worked on investment due diligence and strategic firm initiatives. Prior to Voyager, Brian held roles on: the derivative strategies team of asset manager Analytic Investors, the hedge fund research arm of fund of hedge funds firm Iron Partners, as well as the hedge fund and private equity arms of FSI Group, a financials-focused alternative asset manager. Brian graduated with a B.S. in Finance from Miami University in Oxford, OH where he was a founding member of the Miami Investment Group student organization, for which he remains an alumni advisory board member.